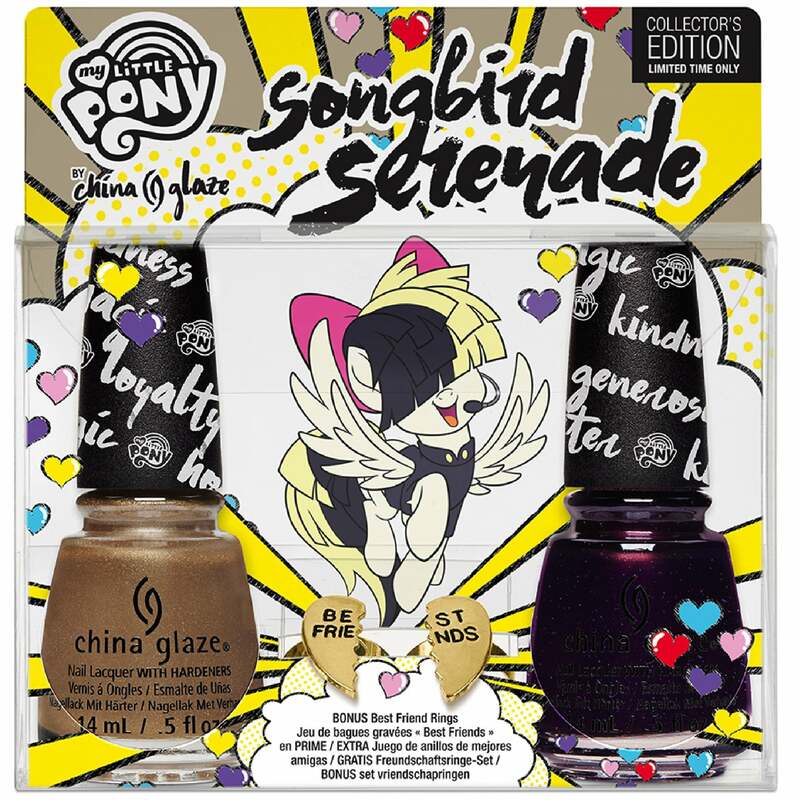 "Sia's Pony Duo Set" contains: 1 x China Glaze Nail Lacquer in the shade "Songbird Serenade" 14ml & 1 x China Glaze Nail Lacquer in the shade "Best Ponies Forever" 14ml. Inspired by Sia's pony, Songbird Serenade. "Best Ponies Forever" is a soft gold chrome. Showing our 2 China Glaze My Little Pony 2017 Nail Polish Collection - Sia's Pony Duo Set (212673) reviews with an average rating of Excellent. Would you like to write a review? The duo set is great. Best ponies forever is a beautiful gold, but I hope you don't mind nail brush strokes because it's hard to avoid them. It's a one coater so it might be great for stamping. Songbird serenade is not what the picture shows : it's better. It's not a dark purple, it's a black polish filled with holographic microglitters and it is awesome. It is one of my favorite from this collection and definitely my favorite black polish. Two coats for this one.